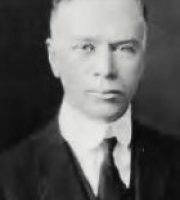 Arthur Chapman was an early twentieth-century American poet. He wrote a subgenre of American poetry known as Cowboy Poetry. His most famous poem was Out Where the West Begins. The popularity of "Out Where the West Begins" led Chapman to release it with his other poems in a anthology. In 1916, he published Out Where the West Begins, and Other Small Songs of a Big Country, a fifteen-page volume issued by Carson-Harper. The book was an immediate commercial success.